Which type or brand should I choose? How to install and run PoE cameras in my house or business? In this post, we have hand-picked top 2 options and will instruct you to set up and run indoor PoE IP cameras with practical installation guide and bonus tips below. To help you pick out the best indoor PoE security cameras, we will share with you top 2 ideal picks below that come with all wanted features. 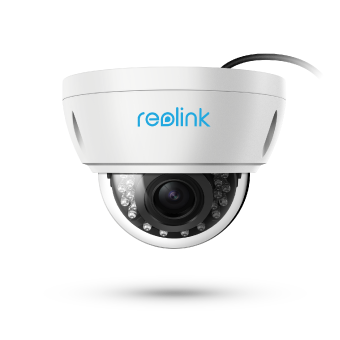 Reolink RLC-422, a PoE dome indoor camera, is smaller in size and less conspicuous, which makes it an ideal surveillance option. Here is a video sample shared by Charles S., a Reolink customer. 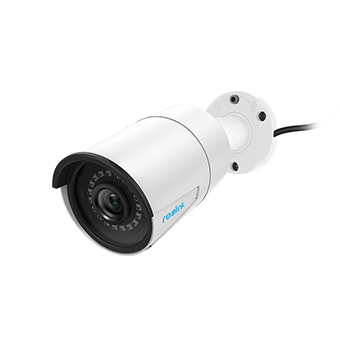 Take a look at the clear images and impressive optical zoom features of this indoor PoE security camera. Editor’s Tips: If you prefer more conspicuous PoE indoor cameras, you may have a look at Reolink RLC-410, one of the most popular and reputable security cameras. 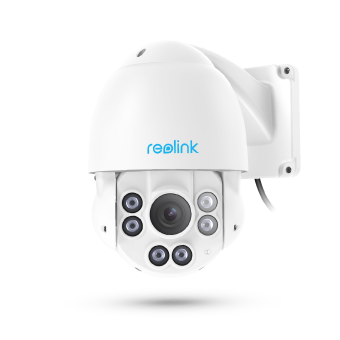 If you are looking for a PTZ indoor PoE camera that is able to secure every angle, Reolink RLC-423 shall absolutely top your list. The video below is captured by RLC-423 PTZ PoE IP camera, showing its clear images even under cold weather. PoE indoor cameras feature easy installation since they get power and transmit videos through only one Ethernet cable. With the step-by-step guide below, you can set up PoE indoor security cameras on your own within minutes. An ideal position contributes to better performance of your indoor PoE security cameras. When selecting installation positions, take the following 3 points into your account. #1. Install PoE indoor cameras in high or open areas. Corners or indoor objects may block camera’s field of view and result in poor image performance, especially for the PTZ PoE indoor IP cameras. To avoid such situations, you can install cameras on the ceiling or high places. #2. Avoid pointing indoor PoE IP cameras directly to light sources. Indoor environment is full of light sources and they may cast great impact on cameras: vague or even overexposed images. A useful solution is to avoid facing PoE indoor cameras towards or near any light sources. #3. Think twice before setting up indoor PoE security cameras behind glass/windows. Glass may reflect IR (infrared light) given out by the cameras when they work at night. If so, image quality will decline, thus resulting in unfavorable images and videos. After choosing ideal installation positions, you need to arrange PoE indoor camera cables in advance with following steps below. #1. Look for a central position to place your router or NVRs. #2. If you don’t want any exposing cables, drill holes large enough on walls or ceilings to run several cables at the same time. #3. Correspondingly, you need to drill holes near places where you are planning to install PoE indoor cameras. #4. Attach the cables with fish tape to fish indoor PoE security camera cables. #5. Run PoE indoor security camera cables to the destination and you are ready to install your cameras! Further Reading: You can also read this post and learn how to run and hide cables of PoE cameras indoors and outdoors. Now you can mount your indoor PoE cameras with the video installation guide below. 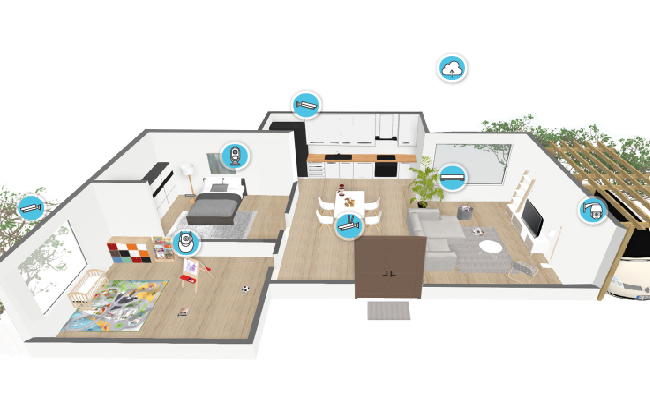 If you find it hard to mount PTZ PoE indoor cameras like Reolink RLC-423, read this guide and install the cameras on your own. With stable power supply, your PoE indoor CCTV cameras are ready to work. You are recommended to run your cameras within a range of 330ft. Otherwise, the camera power supply and data transmission will be unstable, which does great harm to indoor PoE security cameras. With advanced P2P network technology, you are able to setup your PoE indoor security cameras painlessly. All you need to do is typing a unique id number (UID) and password to a P2P security camera software, then you are able to enjoy easy remote viewing and effortless video playback. Meanwhile, you can also change PoE indoor camera settings, such as motion detection sensitivity and detection range, to suit your needs better. Apart from the installation guide above, we have also collected some feasible tips for you to run PoE indoor security cameras in a better way. Some of your friends or visitors may feel uncomfortable with conspicuous PoE indoor cameras since they don’t want to be under constant surveillance. To avoid such cases, you can choose low-profile PoE indoor cameras like dome style cameras, which are smaller in size and less conspicuous, to monitor your living room and other interior areas. If you are not a pro in security camera field, then we don’t suggest you to convert PoE indoor cameras to weatherproof outdoor cameras on your own. This is a demanding task requiring professional knowledge and skills. Instead of doing the transformation yourself, we suggest that you purchase PoE cameras with IP waterproof ratings. Then you are free to install PoE cameras indoors or outdoors. To maximize the effectiveness of your currently using NVRs or security systems, you are suggested to choose indoor PoE cameras that are compatible with your existing systems. Note that some security systems only work with cameras of the same brand. So when you are planning to expand your systems, look for the PoE indoor cameras from the same manufacturer. By doing so, you can upgrade your security camera systems in an easy and budget-saving way. PoE indoor cameras require only one Ethernet cable to transmit data and receive power. They work perfectly with Cat 5, Cat 5e and Cat 6 cables (Read this post to learn their differences). Mind that cables for indoor use may not feature waterproof as outdoor cables do. If you are planning to run your PoE IP cameras outdoors, remember to prepare water-resistant cables as well. If you have any new ideas or questions on PoE indoor cameras, share with us in the comment below and we would love to hear! This entry was posted in Buyer's Guide and tagged PoE indoor camera, recommendations, run camera cables indoors, security camera installation.